Hi Dolls. I have a BIG BIG BIG favour to ask you. 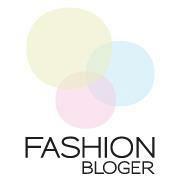 I just applied for this competition called TopFashionBlogger and I need your help. I would appreciate if you could just LIKE this link: http://t.co/Io5IyO2cFf and then also like my name: Ana Žnidaršič. I think you'll recognise my picture. I would appreciate it so much. This is such a big opportunity for me. So tell your friends, family, everyone. Let's win it together.